Hall of Fame- Honor and Respect to Former Leaders!! 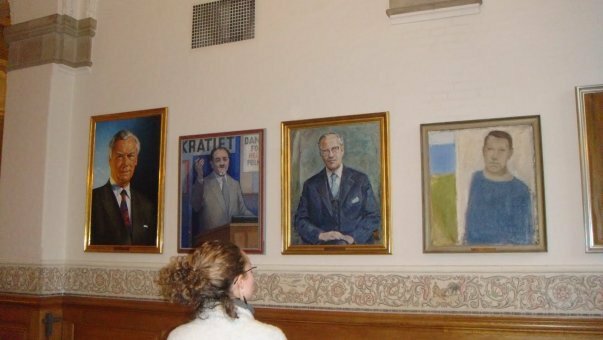 – If you are lucky enough to visit Danish Parliament, then don’t be surprised to see a hall full of paintings of former prime ministers/speakers of the Parliament. 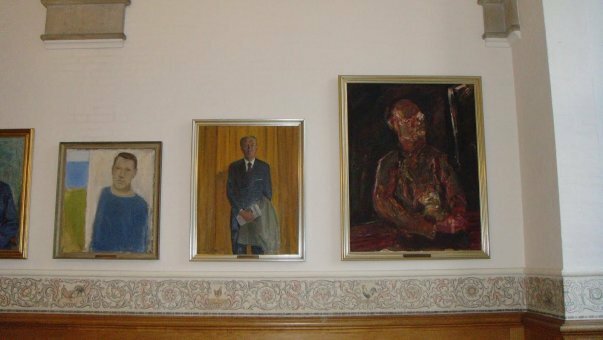 – If you visit any municipality office (in Danish it is called as kommune) , you will notice a gallery full of paintings of former chiefs. Well, this is not a description of an art gallery or any ongoing painting exhibition. This is one of the customs in Denmark, core of which is showing respect to the leaders for their past works. 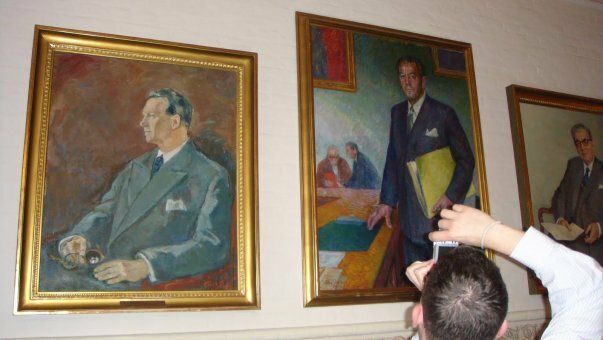 According to this tradition, every chief/political leader is being a choice to find out any artist to make his/her portrait. It can be a sketch, painting or even just a photograph. This right is given when the person is close to retirement or going to step down soon. This small glimpse of him lies in the hall ways of office where he served for few years as a leader, policy makers and reminds other people about him/her. The trend is visible not only in Parliament but also in the other large government offices/organizations in Denmark. Instead of leader, the chief of staff, head of division are given such rights. You must be wondering, what is so interesting in it for which I am writing this? When I visited Parliament for the first time, this was funny discussion as the place where I come from. Such paintings, statues are made after the death of people not when they are alive, so for me it was quite surprising to see those paintings for the first time. Later I came to realize this tradition and observed it all the other public offices too. So next time, when you see such kind of paintings in a big hall way, don’t be surprised as now you know what they represent and why they are represented. ← Open Door Policy- Position doesn’t really matter here! !